I'm willing to bet this was a ef2, based on the damage path. Btw... it was great parental fodder to convince my 17 yo daughter who is in the STEM at wf west and wants to go to the uw! Was at work in Bremerton and right around this time a rain squall unlike any I've seen hit. The temperature dropped and saw a bunch of first responders racing that way. It was crazy because not long before it was partly sunny and much warmer. Could see the very dark clouds rolling in didn't realize it was gonna turn into this. was definitely a strange intense shift in the weather. Prayers to all affected. Thank you for getting this post up so quickly. I didn't realize that tornadoes occur in our region! I'm glad to hear there are no reported injuries at this time. The storage unit business behind Bethel Square, which is about 1500' southwest of Walmart, sustained tremendous damage. From the aerial photos it looks like there isn't much damage in part of the area in between Bethel Square and Walmart area. Not sure if it touched down and went up for 700' then down again? It will be interesting to see what it looks like driving down Bethel on my way to work in the morning. Initial reports were about 50 buildings sustaining damage. Not sure how many were in first area. Will have to see if the famous/infamous Bethel Saloon sustained any damage, although it might be hard to tell! 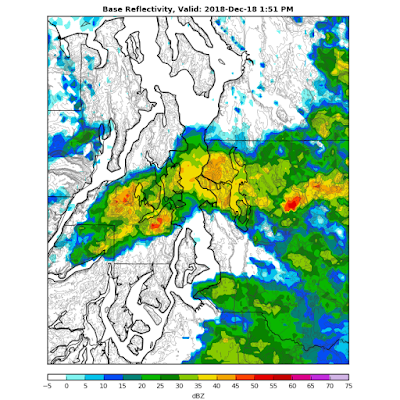 There's a comma shape of the cell at 1:27pm to the west of Belfair by Hood Canal. There was rotation at the lowest level. I have a screen shot of it I can share with you. Also have a screen shot of a half mile wide radar detected debris ball after it struck the town. I tweeted about the storm 13 minutes before it hit town that there was a strong rotating storm heading towards Port Orchard. Thanks for the analysis. I was curious to see what your take on this event would be. Did you happen to see this tweet from Washington Weather Chasers where they were warning of a "rotating thunderstorm" 13 minutes before it hit? I'm curious how they happened to come up with their predictions of when it would hit and where. Based on previous tweets, they seem to follow the weather in WA very carefully. I had not heard of this group before. The sky here overlooking Sinclair Inlet went really dark about 1:30, we had to turn on lights in our 'over windowed' unit facing north and east. Turned them off about an hour later. Lewis County in the Chehalis/Centralia area was the first place I ever lived where we had 'almost' events of this sort. I was doing some gardening one spring vacation day and watching a huge black cloud approaching from the SW. And then was startled by sudden strong winds coming from the north. I got in the car to go home and check on the kids, the local weather man was on the radio, "I'm not suppose to say this but we are having strange twister kinds of weather, be warned.... " This was before it was generally acknowledged that we could have tornadoes. Nothing happened but you could see all sorts of rotation high in the air as the cloud passed. The second was on Easter about noon, mid 90s. I was not at all aware of it, cooking for guests who had not yet arrived, but mother-in-law watched a small wind storm hit us, taking off shingles and siding from the mobile, and roofs of both the shop apartment and mobile. It then hit the green house and tore one end out of the ground and destroyed the plastic. We got an insurance claim for about $3000. Almost everyone who lives in that area and is outside often can also report such events. Very interesting (and sad for those affected). I live in Poulsbo, just 25 miles north, and had beautiful sunshine and calm winds while all this was happening. We were just putting together a late lunch, I had noted the time because of eating late, and as we sat eating our sandwiches, our dog erupted into crazed barking and whining, and jumping at the door to go out! We let him out and he ran a few circles around the yard and came back in. We wondered what bothered him, thought perhaps we had a small tremor we humans couldn’t sense. Now I think he sensed something in the atmosphere: pressure change, sound vibrations? Very weird! Thanks for the usual fine multimedia presentation! I also enjoy the comments here. This is a go-to place for me, I check it every day (no Facebook or Twitter for me). Quote "But today, something very rare occurred a midwinter tornado of moderate strength,"
Most of my friends look to you as what we all wish meteorologists were like. Just shy of God-like in their use of graphs, statistical data and modeling. I love that - as we might say at the Beaty Biodiversity Museum - Citizen/Scientist were the first to record rotation. They have nothing to defend in terms of reputation and public predictions. Like those 'amateur' radar operators in Hawai`i Dec, 1941. In the event, I am no storm tracker, I model using CAM5.0 using the publicly-available CICE from Los Alamos on my iMaC mini cluster large scale climate change. I find myself at old - not with the NOAA scientists - but the final reports form NOAA. Look at NOAA prediction for November, 2018 from 2 weeks previous. TV Weather people were kidding about getting "Tee times for golf" before they filled up with "all that good weather" coming their way on the Eastern Seaboard. I think all this experience must be formalized quickly into the models, explicitly reporting using climate change and Sudden Stratospheric Warming flow that occur Particularly, the B-K Region of the Arctic. All the best, Cliff Mass! Stay the course! "I have a feeling,we are NOT in Kansas,anymore...."
Thank you Cliff for the explanation of the Tornado. I noted that a good many of the tall fir trees appeared to have been twisted apart above ground, and also that many firs left standing had their branches torn off close to their trunks. This noticeably different from the damage to these trees that we see in a normal windstorm. 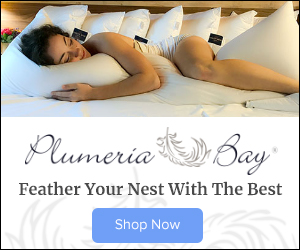 Want to thank you for this blog. 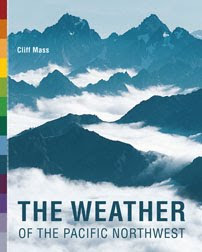 It is very informative, and I have always been fascinated by weather, so I like reading all the background info. Today, like many days, I came to it to get more info about the wind storm than any of the other weather sources are giving. Your comment about riding on the Victoria Clipper was a crack-up. Keep up the good work! I took a short road trip from my home in Olalla to Shelton that morning. As I approached Shelton at about 11:45 - noon, a big patch of blue sky opened up, and the sun shone on us for a good half hour before it clouded over again. When I left Shelton at around 12:45 - 1 pm, it was just starting to rain, and on the way home I encountered a lot of heavy rain and some wind. I suspect that I was following approximately the same path that the storm was. When I returned home just after 1:30 the weather seemed normal, just a bit of wind and rain, very typical. Of course I was a good five miles away from where the tornado hit. My main idea in posting this is to say that the sunny period around Shelton probably added a bit of heat to that system and may have had something to do with causing the tornado. I heard your public lecture recently at Roosevelt High School (Seattle). You did a wonderful job explaining the phenomenon of anthropogenic greenhouse gas (AGHG) forcing to the students and parents in attendance. You commented at this lecture that individual (unusual) weather events cannot be attributed to [anthropogenically-induced] climate change. Until recently, this was my professional opinion as well. I did a little searching online just yesterday, and discovered that there is a considerable body of research on this. This research area is known as Attribution Science. Here is a 2016 report from the National Academy of Sciences that speaks directly to your assertion. National Academies of Sciences, Engineering, and Medicine**. (2016). Attribution of extreme weather events in the context of climate change. National Academies Press. The full report is easily accessed on-line by doing a Google search on the title. "Even with evidence of these broad trends, scientists cautioned in the past that individual weather events couldn't be attributed to climate change. Now, with advances in understanding the climate science behind extreme events and the science of extreme event attribution, such blanket statements may not be accurate. " Are you familiar with this area of scientific inquiry? Would you comment as to whether you agree or disagree with this NAS report or with the validity of Attribution Science as an area of scientific inquiry, and if you disagree, your reasoning? 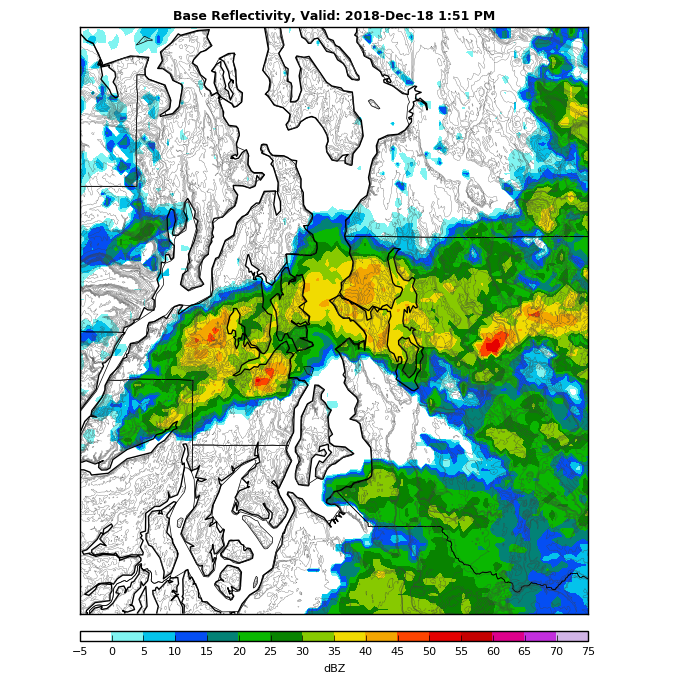 “No one should criticize my colleagues at the National Weather Service (NWS) for not forecasting this event earlier in the day.” – Prof. Dr. Cliff Mass on the Port Orchard tornado 18DEC18. As a physicist, I look for forms, physical events, and attempt in my own poor way to understand the interaction and relationships between things in what they show us about the natural world. I look at how Prof Dr. Richard Feynman dissected the NASA Administration as the root cause of the STS Challenger disaster. His role was not to assign blame, but to critique NASA and the Space Shuttle Program so such a disaster would not happen again. Why shouldn’t we criticize ‘your colleagues’ at the NWS?” They have – most of them – well-paying jobs to forecast weather. Most of them backed the installation of Doppler Radar to detect storms just like occurred at great expense. If they fail to forecast the weather to save life or property, should we say nothing? We cannot blame them, in the end. No one is to blame, but we can critique their performance, right? It is one thing to say we cannot criticize. It is quite another to assign blame. Oregon and Washington were sparsely populated in the first half of the 20th century, meaning a lot of tornadoes would have gone unreported. Hard to determine a "departure from normal" if we don't know what normal used to be. "The 1972 Portland–Vancouver Tornado was a deadly F3 tornado that struck Portland, Oregon, and Vancouver, Washington, on Wednesday, April 5, 1972. The tornado carved a nine-mile (14 km) path of destruction across the heavily populated Portland metropolitan area, leaving 6 people dead and 301 injured while causing $3–5 million (1972 USD) in damage. It was the deadliest tornado in the United States in 1972 and remains the deadliest tornado in the history of the Pacific Northwest. It was the first F3 tornado to strike Oregon since June 3, 1894, and no tornadoes in Oregon or Washington have equalled its intensity ever since." I would say that not a normal day in Portland, Oregon. The last F3 was 78 years previous in 1894. A cursory mean would be one F3 per century. I suspect normal is consider ins a typical working life of an individual is, say 40 years. So with that normal working life a person in Portland, Oregon, her mother might see an F3 (now differently scaled) tornado once while she would not during her WHOLE WORKING LIFE. For me, its not hard to determine at all. It very "off-normal", as we said in the lab when any issue occurred involving the safety of personnel and property. Again, the forces that brought together the tornado in Kitsap County this month was (1) Arctic Vortex Collapse with concomitant jet stream negative oscillation, (2) warm air from the Baja coming North to meet it in High pressure region, and (3) a shearing affect around the Olympics. All I can do is say quote my results and those of many noted NOAA scientists. "Why shouldn’t we criticize ‘your colleagues’ at the NWS?” They have – most of them – well-paying jobs to forecast weather." What if the best available science is not yet able to forecast such an event several hours in advance? You still think it's appropriate to criticize the meteorologists? Also, the words "critique" and "criticize" are not interchangeable - at least in common usage. For example, "Roger Ebert critiqued the movie" is very different than "Roger Ebert criticized the movie". You wrote, "It is one thing to say we cannot criticize. It is quite another to assign blame." Actually, they are very close to the same thing. My argument is simply that what happened in Port Orchard was not unprecedented, and there may have been just as many, just as strong tornadoes when the arctic was not so warm. That does NOT imply that what happened in Portland was at all common. It was obviously very unusual. It's also worth pointing out that 2018 will go down as the 2nd warmest recorded in the arctic, and 2nd fewest tornadoes recorded in the US. Only one F4 reported worldwide in 2018, and the first time no F4's or F5's reported in the US. On the other hand, cold month tornadoes (Nov-Feb) are getting more common, corresponding with when the Arctic has been most unusually warm. I have no idea how this comment section works. I came here on the advance of “Cliff Mass” supports, mainly non-scientists friends. As with fossils, we must deal with what we have in putting the trees of life together. We cannot make conjectures about what might be out there in the field if only we have more time. I believe pioneers to our area from the South and Midwest knew exactly what a tornado was and had a rough gage of its strength, as in 1894. I know this from personal records of my family and also a general appreciation of the pioneers coming to WA and OR. As a scientist, and this we say justifying a position we hold, must be backed up my statistics and modeling. I gave you mine in a simple form that most folks can appreciate. I could have used CAM 5.0 which a detailed model of Earth climate, along with CICE and the community version on my clusters. But that is overkill. So, I will say this, we need to look at every weather incident in the context of climate change. Every one. Generally warming over the Arctic tells you very little. Specific local warming in the Barents-Kara Seas region to 10C this summer IS A SIGNIFICANT GLOBAL WARMING EVENT. That one patch of warming leads to SSW, or another stupid acronym (sorry, family says to clear internet) ASW. And possible to Arctic Vortex Collapse. That causes directly NEGATIVE ARCTIC OSCILLATION, which brings warm air up to meet cold air in our region. I may have come across as too combative. A habit from spending so much time on climate blogs. We love to argue! I admire and appreciate the work you're doing. I work at that Port Orchard WalMart. My shift ended at 1pm and I was on my way back home in Bremerton with a stop for gas, then a quick stop for some good IPA beer (Was my Friday). Knew and expected windy conditions and I saw all of that in my way back, but had no idea the storm was generating a tornado that destroyed homes and the woodlands near WalMarts lot. The destruction there when I went back in for work Friday that I could see was amazing.